Boom Beer is my best friends' place to eat and it's to not surprise I've been dragged (very willingly) to eat there numerous times. As a Richmonder, I compare Boom Beer to L.A. Chicken due to their absolutely mouth watering fried chicken. Boom Beer however, offers a variety of Korean bar food and drinks to go with it. The owner is so friendly and it's easy to almost feel like home every time you enter the restaurant - I think she knows my friends by name at this point. 4.75/5 - Savory cheesy goodness - I don't think there's more you could possibly ask for. 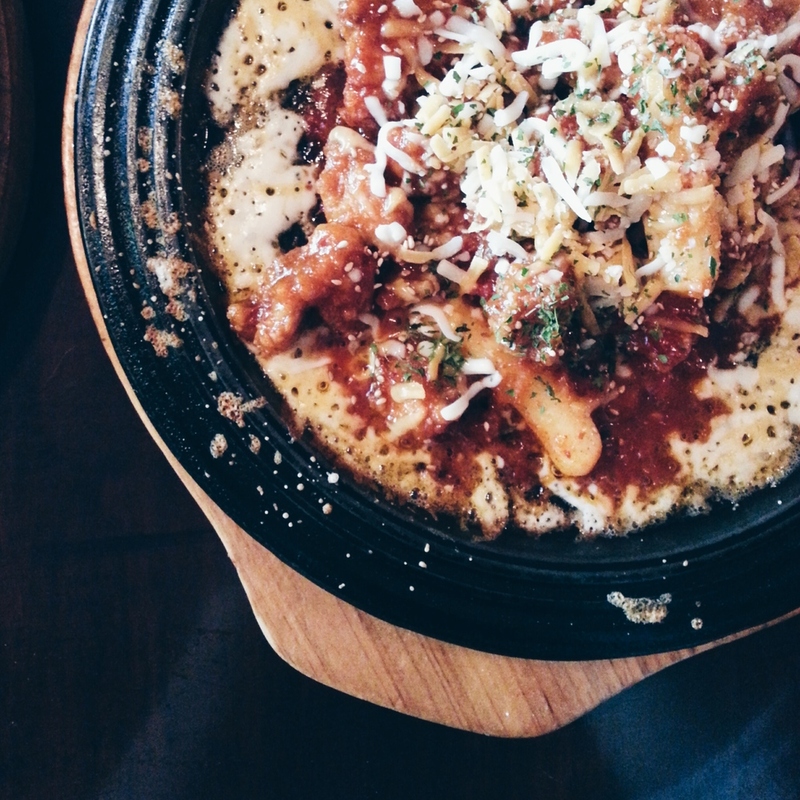 Hefty chunks of juicy chicken are bathed in a spicy sauce, mixed with ddukbokkie 떡볶이 (spicy Korean rice cakes) and covered with a generous helping of melted cheese. This dish is so addicting especially if you can handle the heat. 4.5/5 - Fried chicken is everyone's guilty pleasure, just admit it. Just the sound of the crunch on these fried chickens is enough to make your mouth water. Unlike most variations of this dish, the outer crisp doesn't get soggy and disgusting and I'm speculating that it might be from double frying the chicken. The meat is juicy and each chunk of chicken is decently large. If you're going to be visiting Boom Beer for the first time and want to try something safe, I recommend ordering this. I've also tried the spicy version of this chicken but I still prefer the unspiced version just because I feel that if you want spice, order the booldak. 3.5/5 - Sounds delicious and is delicious but I expected more flavour to this. I know there's butter and cheesy goodness but there's a lack of seasoning for that punch of flavour. I would have enjoyed it more if there was a bit of salt or pepper tossed in. 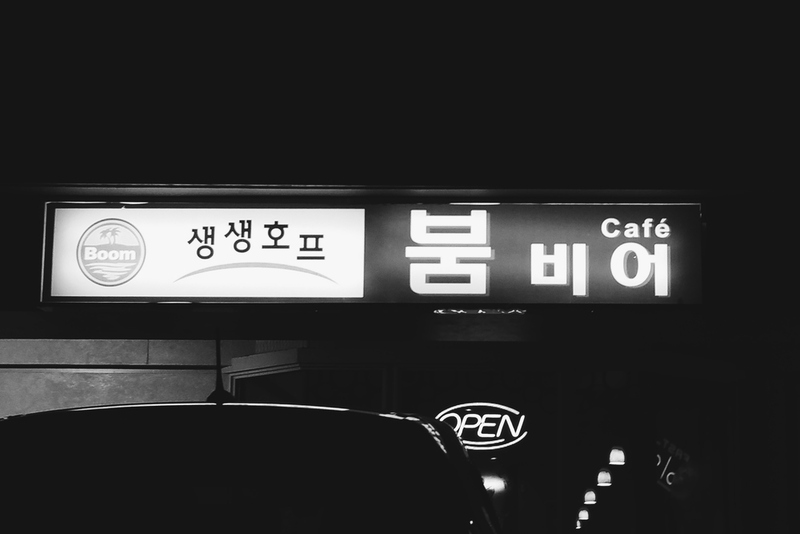 This authentic Korean bar-style restaurant is really a gem in Surrey and is one of my top choices for fried chicken and beer in the city. It's casual, it's delicious, and it's all so satisfying (an order of any alcoholic drink will earn you a bowl of popcorn too). A great place to dine in and hang out with friends or take out. I find myself craving their fried chicken time and time again and I hope that you will too!